In a perfect world, there would be no holiday stress. We could simply take off a month to bask in the glow of the yule log, make cookies, and gain zero pounds. In reality… let’s just say the ornaments are jumping ship (three have fallen off and crashed onto the floor already), the yule log ran out of propane, and those cookies are making me a bit marshmallow-y around the middle. 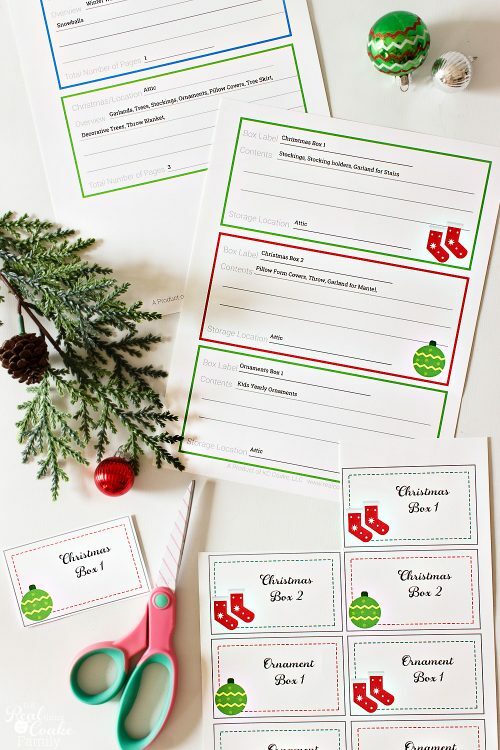 In the midst of all those additions to your to-do list, an organized Christmas is a less stressful one. 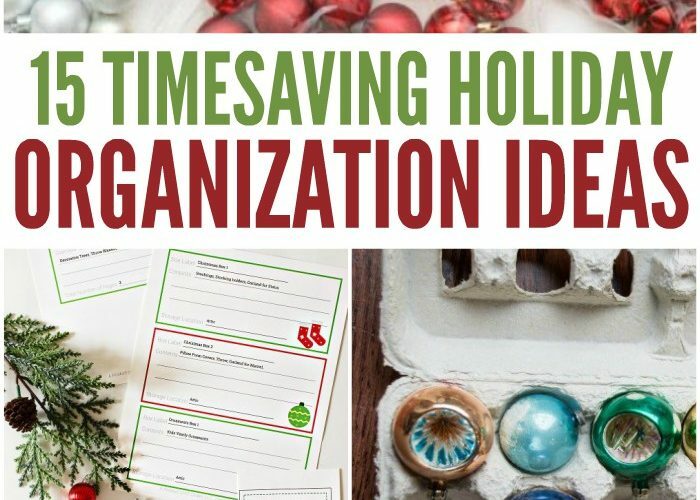 With a few simple organization tips, you can grab the season by the (reindeer) reins and take back control. 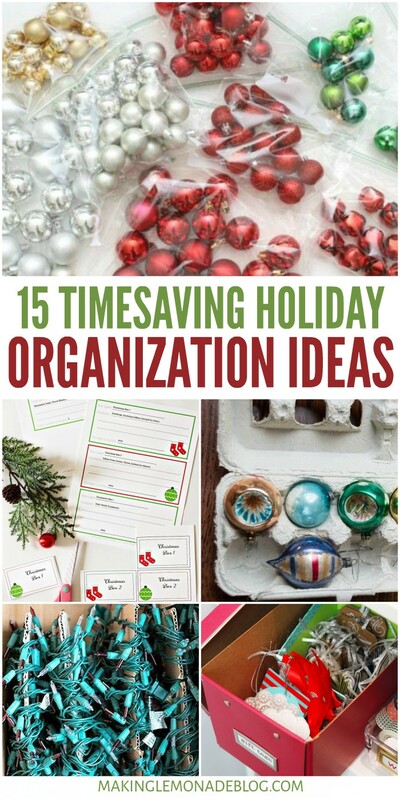 We’ve rounded up 15 (actually 18, I added in a few bonus organization tips, BOOYAH) ideas to keep you organized and simplify the season so you can kick back and enjoy it. 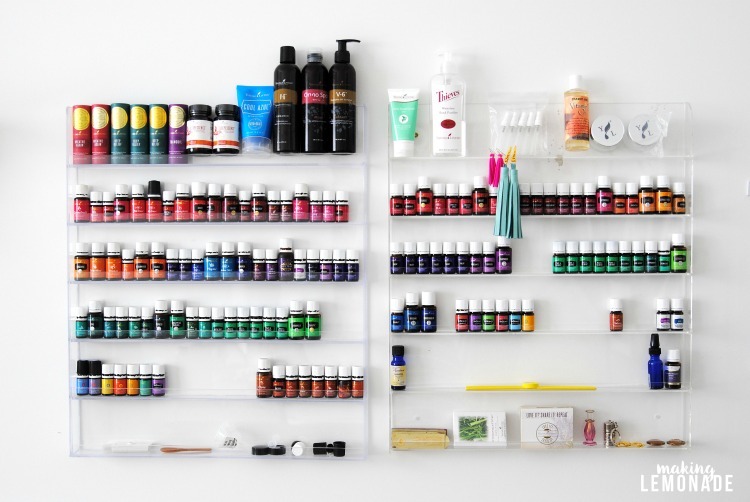 First things first, SIMPLIFY. If you’re having company over on Christmas Eve, don’t make the beverage menu complicated. Aside from water and perhaps a few sodas, offer one main ‘signature’ beverage from the bar. That way you don’t have to play mix master all night. 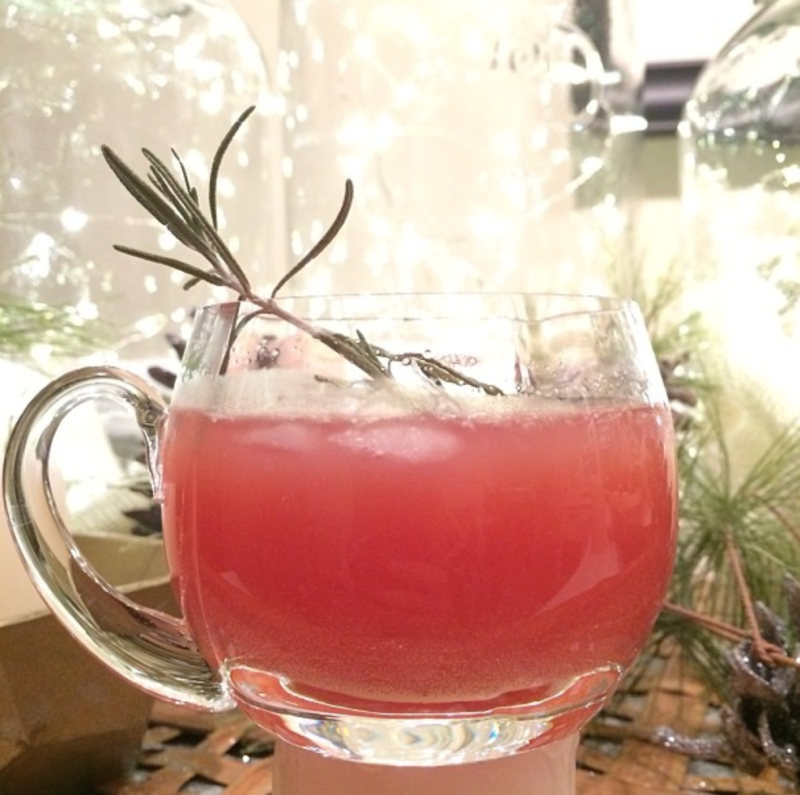 Our Santa’s Little Helper punch is a HUGE hit.We serve that, beer, a red and a white wine. 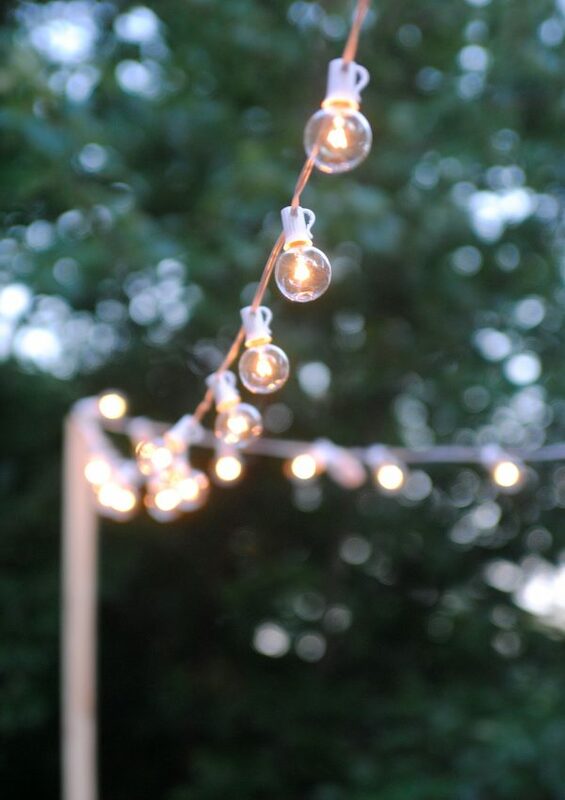 Keeps it simple and festive, too. Christmas dinner takes quite a bit of planning. 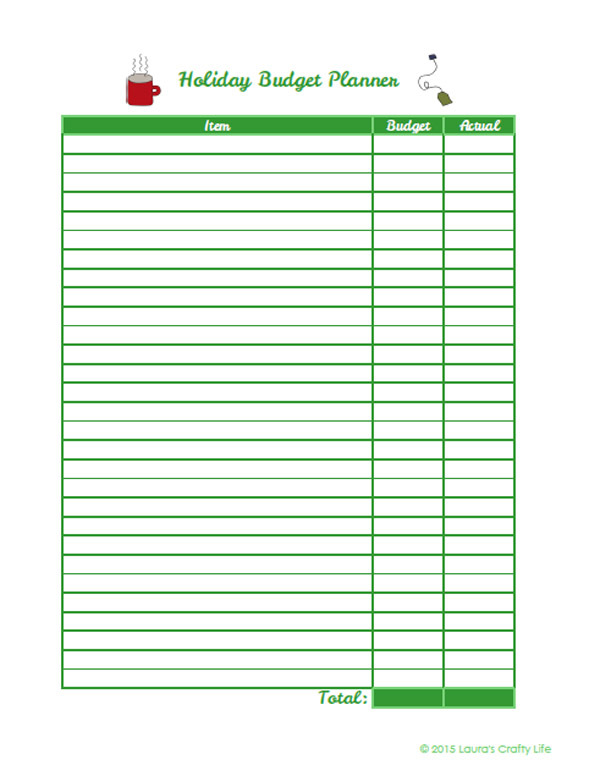 As you create your Christmas menu, add the items you need to make your favorite dishes to this Christmas menu shopping list. 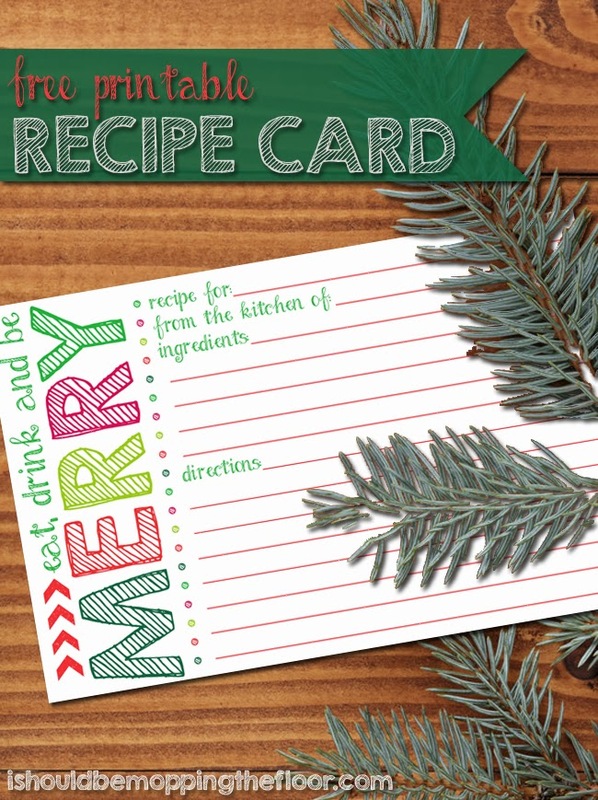 Write your favorite holiday recipes on these festive holiday recipe cards. 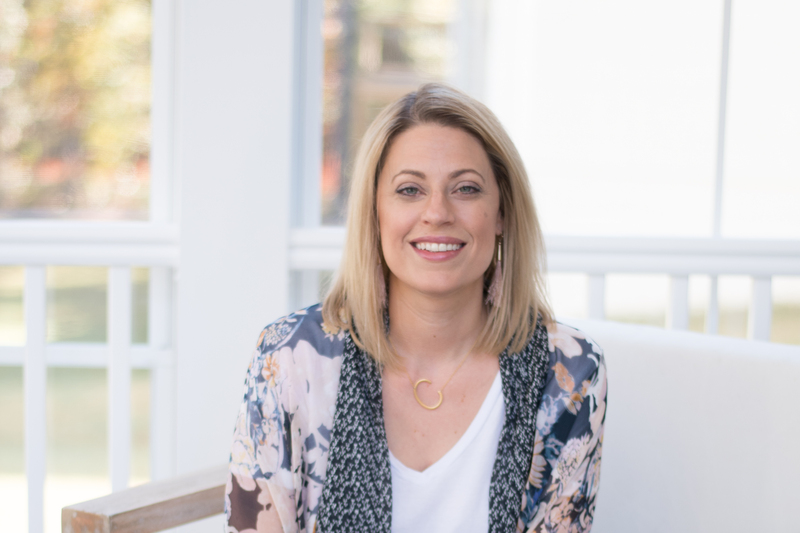 You can also attach a card to food gifts that you give to friends, family and neighbors… I’m sure they’d love to have that awesome cookie recipe! 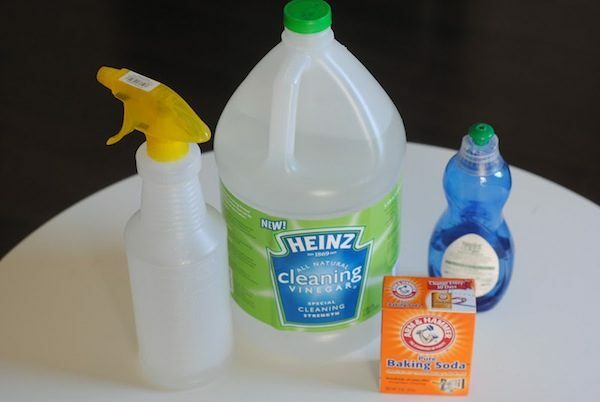 Here’s the five things we always have on hand on Christmas morning. 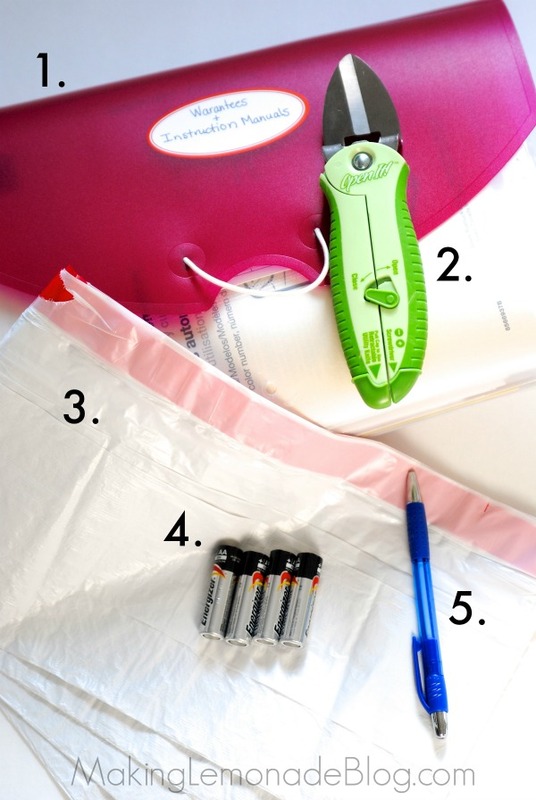 Our trusty green Open It is a lifesaver (or, hand saver) when it comes to those horrible stiff plastic ‘clamshell’ packages that threaten life and limb. As you open gifts, put the instruction manuals and warranties in a pile and file them ASAP so they don’t get tossed out with the wrapping paper. 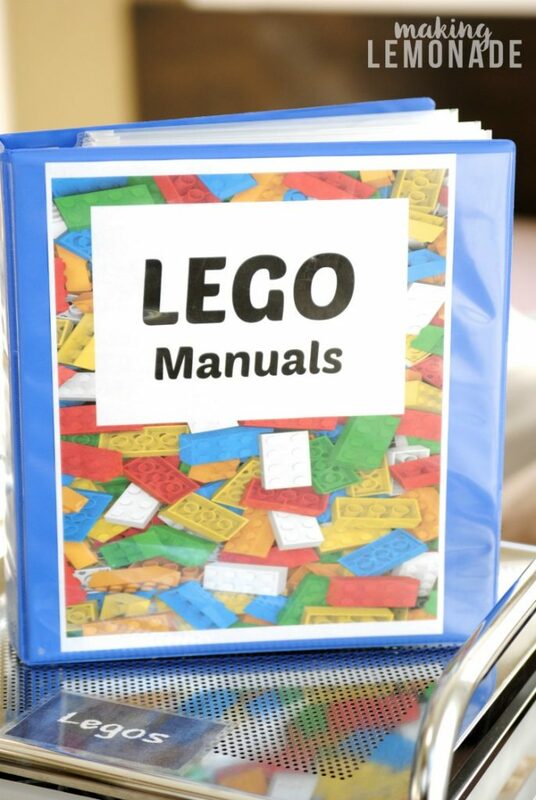 Here’s how we organize our manuals. 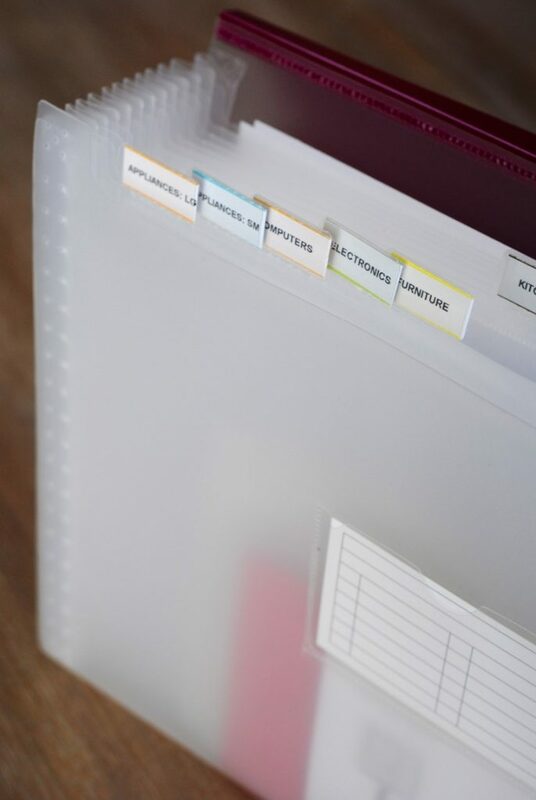 If the Christmas gifts include LEGOS, here’s our tried and true LEGO organization method with free printable covers. 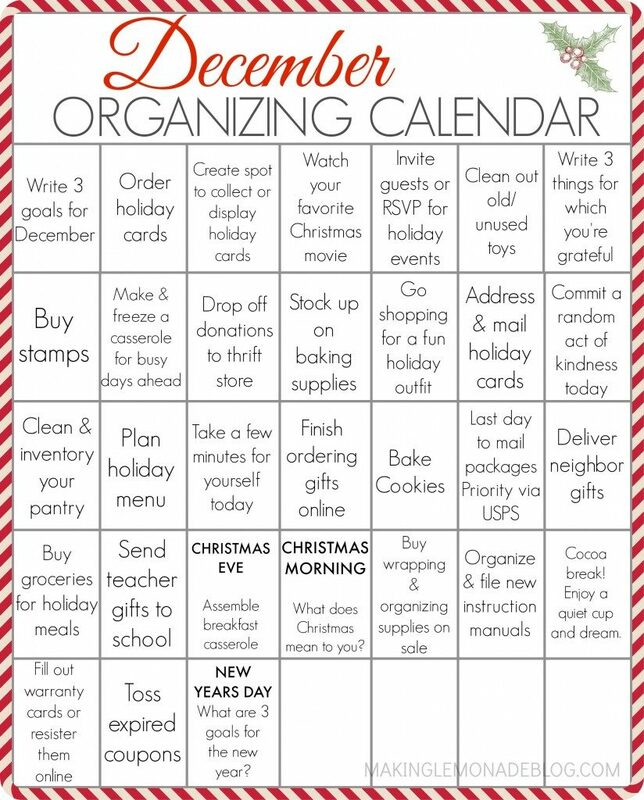 If you’d like to keep a more detailed list of gifts, you NEED this holiday gift planner in your life. 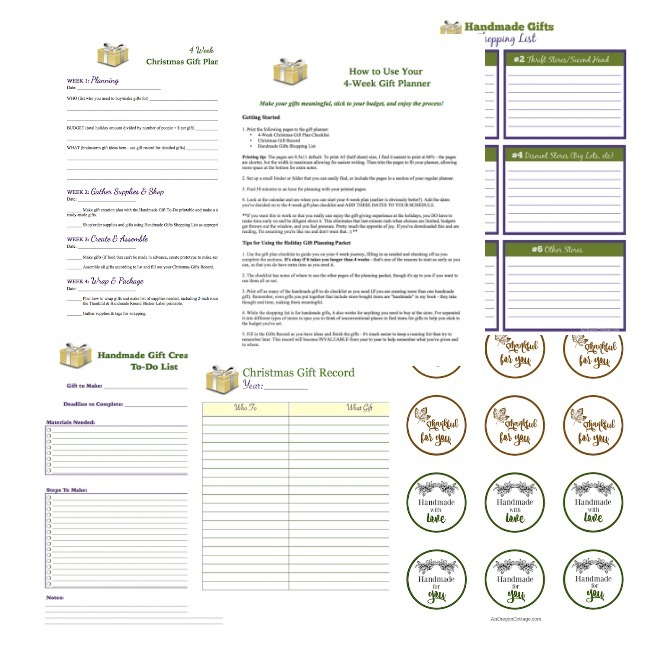 It includes sheets for tracking homemade gifts, gifts purchased throughout the year and much more. 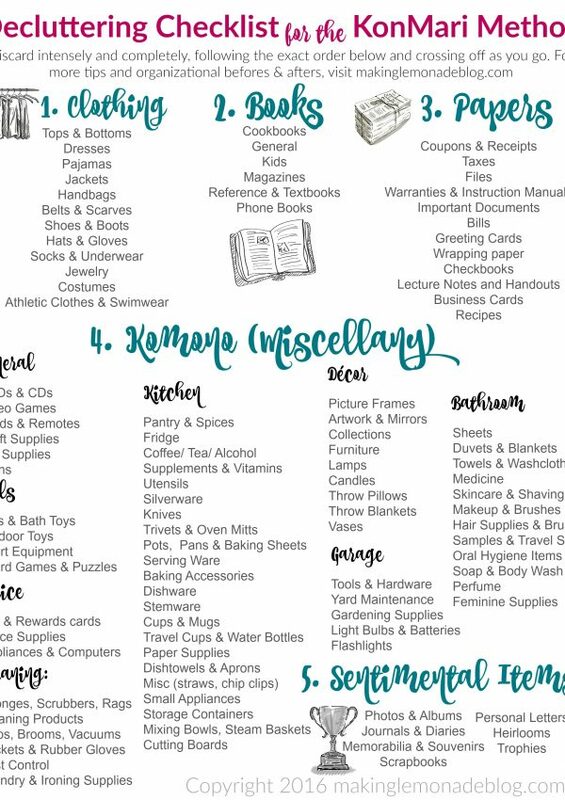 Make sure you don’t splurge too much this holiday season with a handy holiday budget planner. 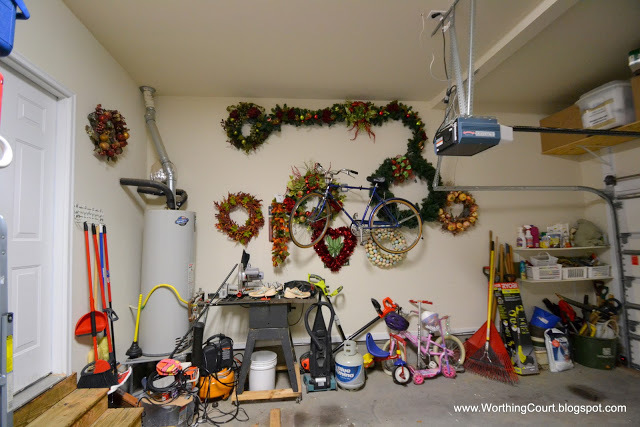 Having trouble remembering which decorations you have… or even where you have them? 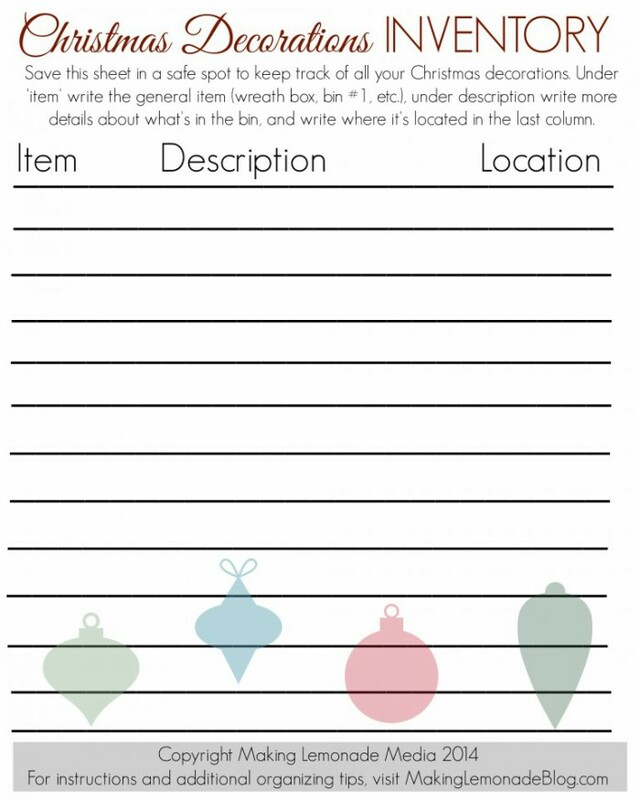 Use our decorations inventory to keep track! 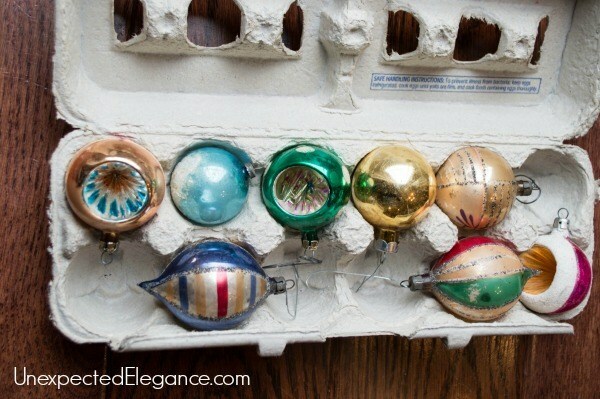 Store round ornaments in an egg carton. 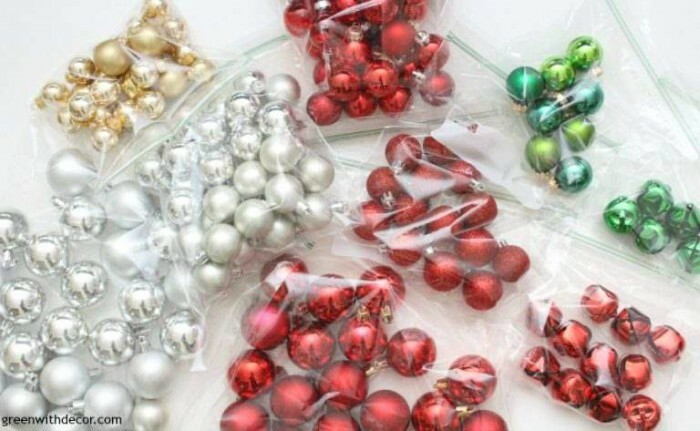 These are terrific for delicate ornaments that you no longer have the original containers for. 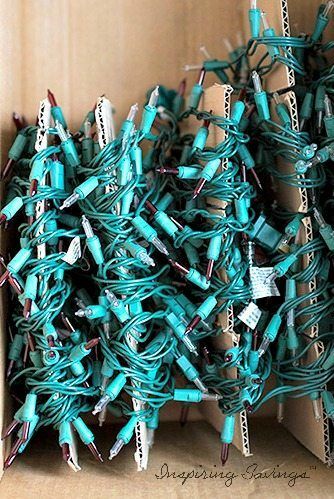 Wrap lights around notched pieces of cardboard to keep them tangle-free until the next holiday season. 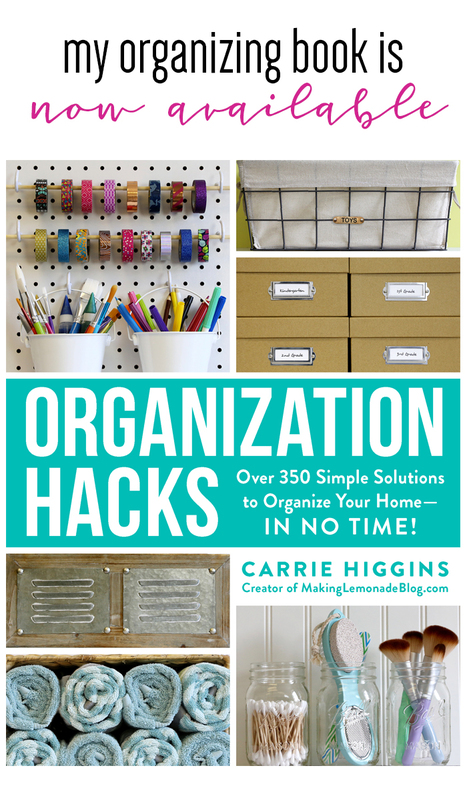 You can also wrap them around a plastic hanger and hang them up in a closet! Group ornaments into plastic storage bags by size and color. This is such a great idea if, like me, you have ornaments in vases, bowls and several Christmas trees! All the storage tricks in the world won’t help you if you can’t remember which things are in which containers. 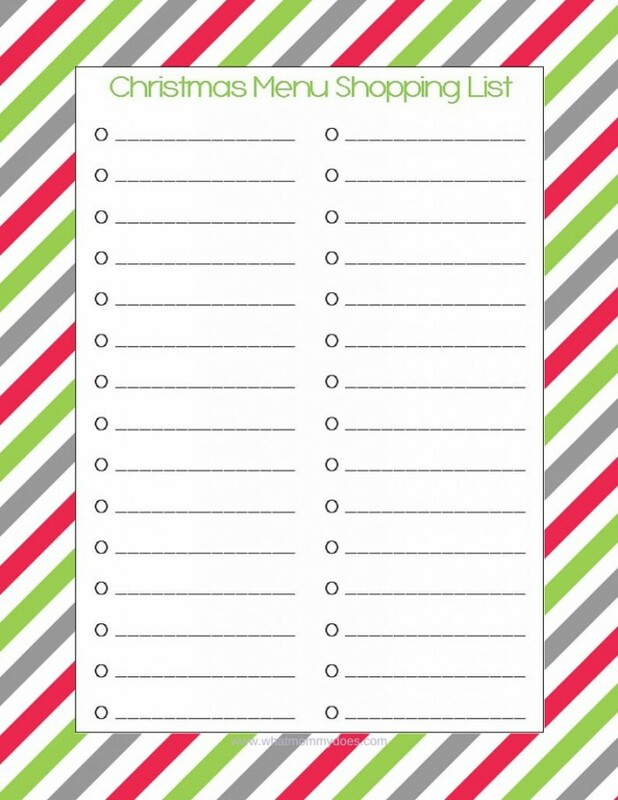 Use these printable Christmas labels and a master list so you’ll always know where your lights, ornaments, etc. are. 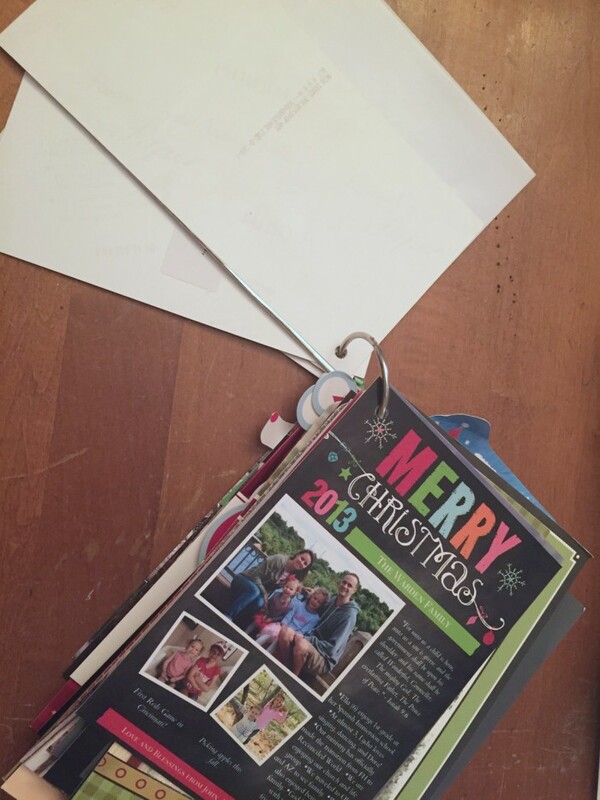 Use a book ring to organize Christmas cards each year, particularly the cards that are family photos. 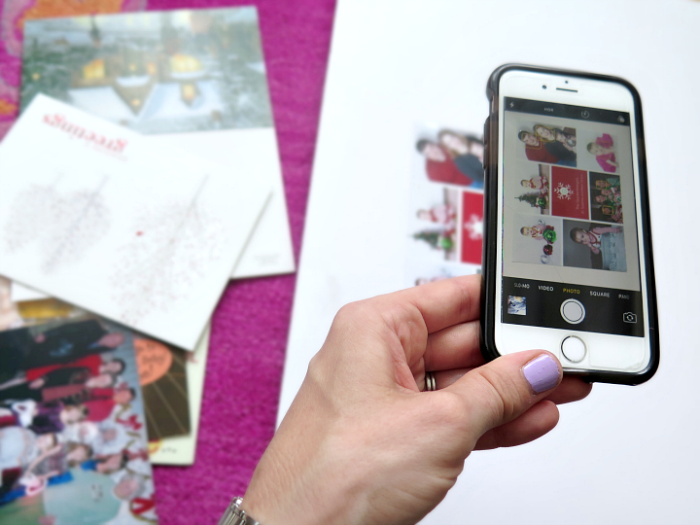 Or, if you prefer to have less physical clutter, store your Christmas cards digitally in Dropbox or another cloud storage service. 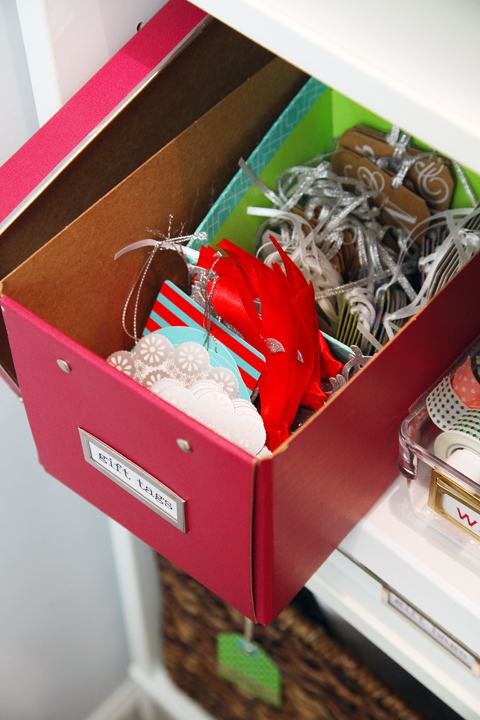 Keep all those pretty gift tags in a box! If you use the peel and stick kind, it may not matter much, but if you go to the trouble of making homemade gift tags, you’ll want to keep the extras to use next year. And it might be a bit late in the season to use this printable December organizing calendar this year, but pin it and print it out for next year! Download it here.